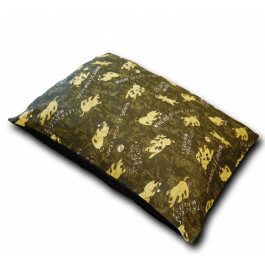 Our Walkies Camouflage Large Dog bed cover is a perfect gift for your furry family member. Its super soft and high quality polycotton material blend will furnish an extra comfort to your pet. Your lovable pet will surely love to sink into its softness. 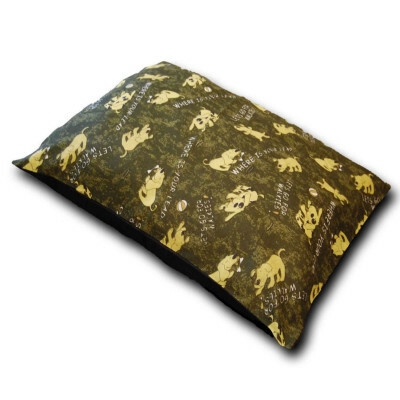 With lovely animal print, this dog bed cover is perfect in enhancing your home decor in the most fashionable way. Easy to care for your convenience, this cover can easily be machine washed for everyday use. Bedding Mill offers exclusive and high quality dog bed covers that will give your dear pet prodigious luxury and fantastic sleeping experience. Our high quality dog bedcovers are extremely comfortable and will surely furnish pleasing experience to your loving pet. Available at very reasonable prices, our fabulous dog bed covers with magnificent colours and patterns will certainly add charm and style to your home decor. Their sundry patterns and chic print will bestow a classy and fresh essence in your abode every time when you change them. Filled with luxurious 100% hollow fibre and cased with premium quality polycotton material, our dog bedcovers are very soft, warm and comfortable. 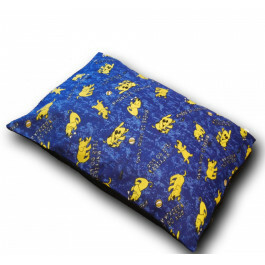 Being cosy and luxurious, our comfortable covers will grant enough support to your pets of all age groups. Our sumptuous covers are machine washable and highly durable.